One of the most glamorous eras in fashion was the styles of the 1940s. Sophistication, ultra femininity and extremely manly appearances were the highlights of the decade. Hats,gloves, spectator shoes combined with flowers, frills or straight lines and padded shoulders. The 1940s is second only to the 1900s Victorian era opulence as far as appearance goes. The movies stars were walking works of art. far as Lana Turner, Rita Hayworth, Tyrone Power and Cary Grant are admired decades after their work is done because they had style. Dresses could be frilly, ruffles, and pinafores were popular among young women. 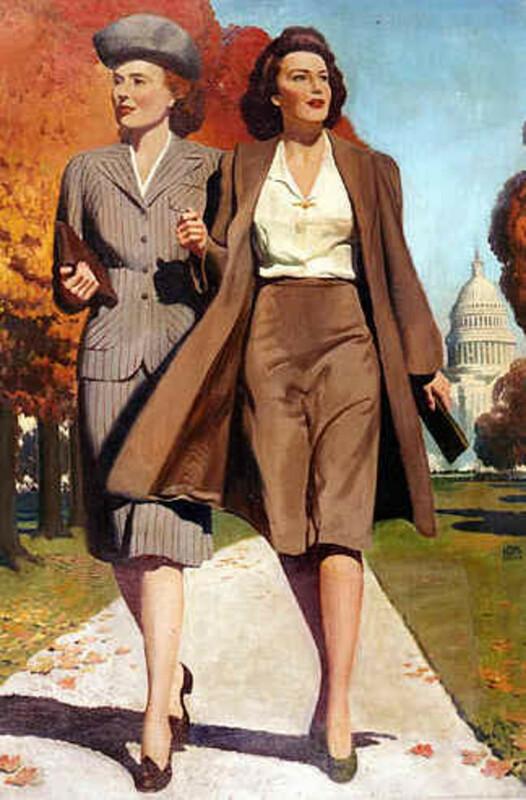 Fitted suits were also commonly worn by women. The lines were not identical to men's suits as they can be these days. They often features very fitted jackets and gathered pockets, or some other feature to make it appear to be a woman's suit. Matching gloves and hats were the ultimate in grooming and upscale style. 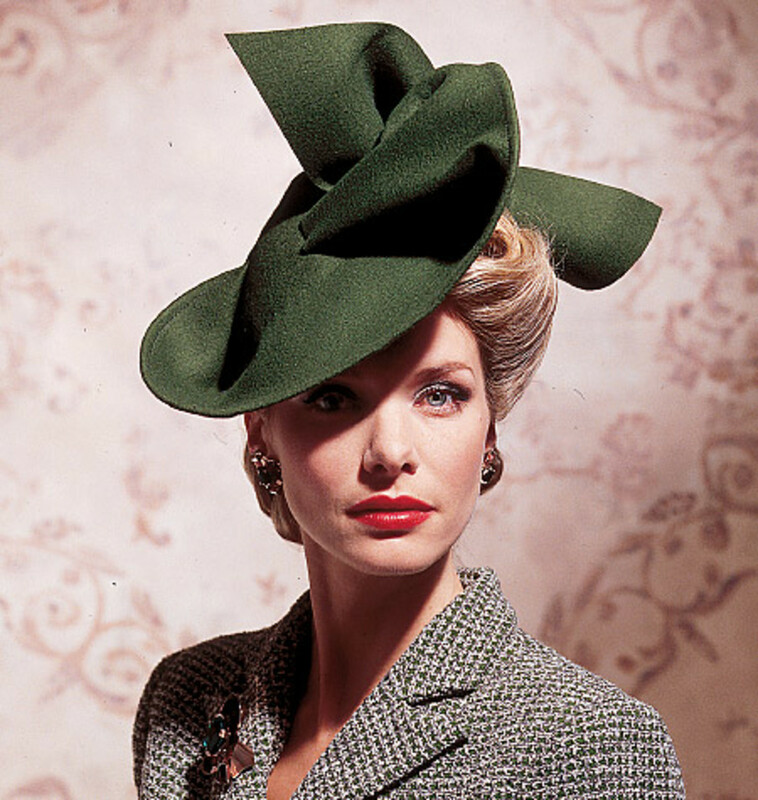 The 1940s was an era that obsessed over exact color matches for a custom look. Shoes also frequently matched the purse and hat. This small, smart hat features a ruffle and a bow for added femininity and décor. 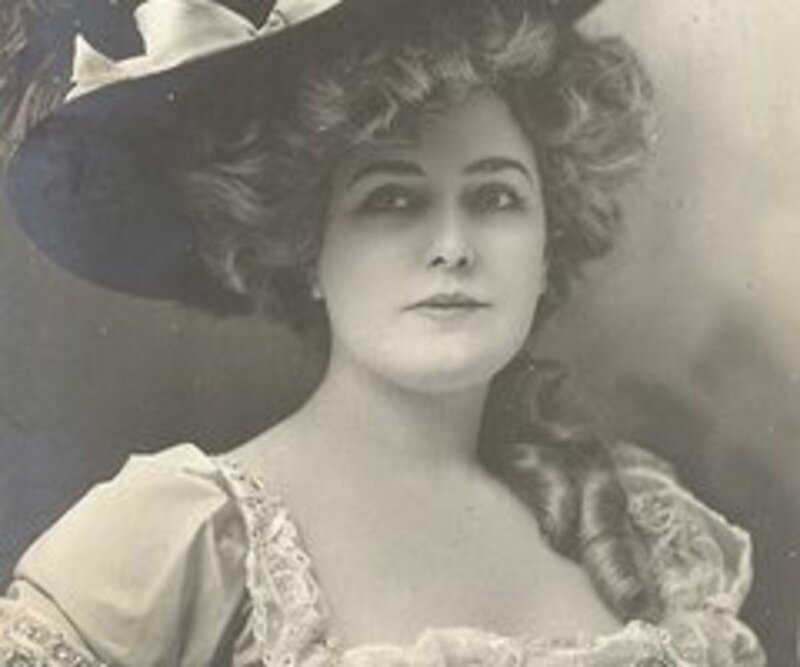 Women who chose to wear hats that were perched straight on top of the head, styled their hair around the hat. The main hair attraction would either be waves on the sides or a sleek french roll that leads up to the glorious hat. 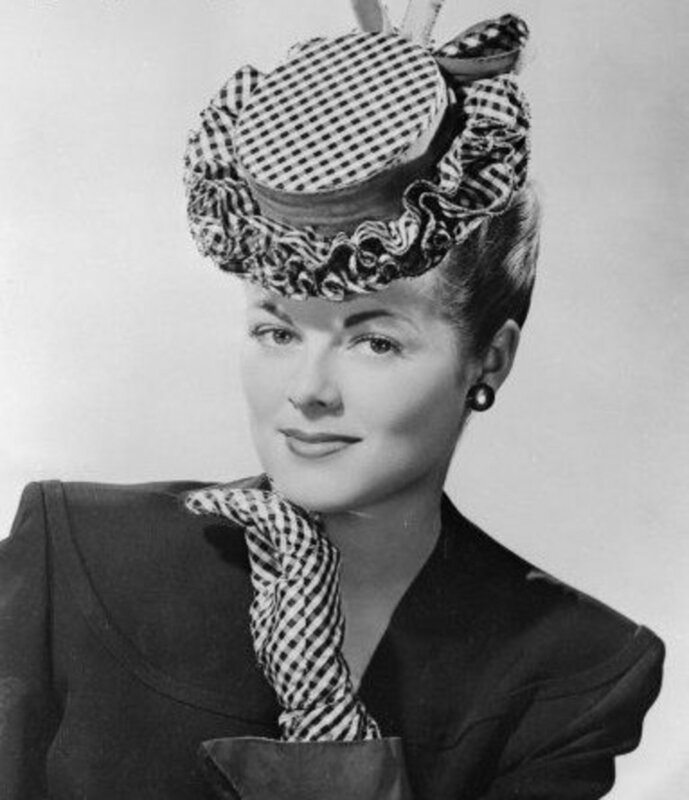 Women who wore hairstyles that features a more pompadour style favored wide brim hats worn off the top of the head in order to highlight their wavy hair. The exotic cocktail hats were beautiful, unique, outrageous and sometimes downright strange. The sky was the limit as far as hats were concerned. Fashionable hats could be either big, small, or uniquely designed. 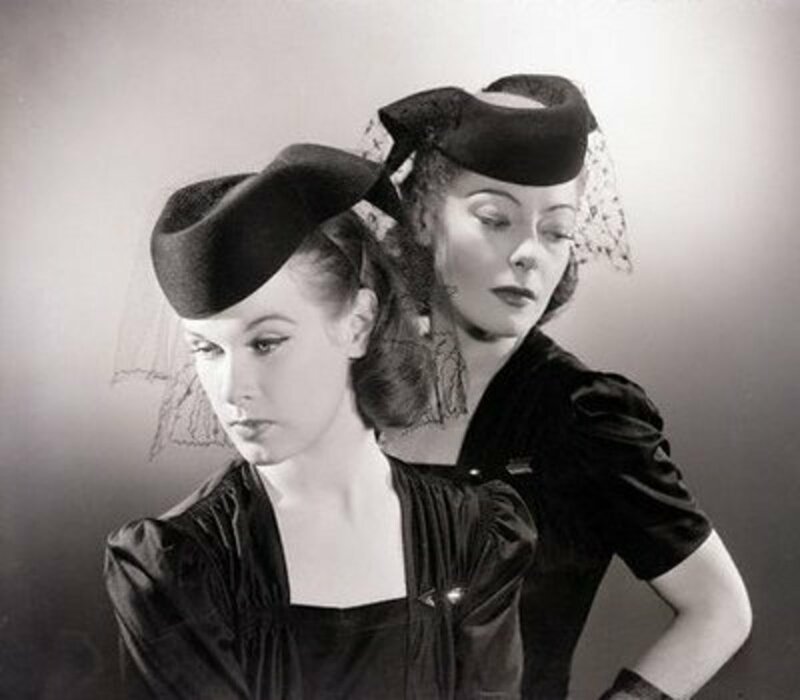 While the hat fashions of the 1920s were mostly "bucket" style hats that covered the whole head, and the 30s hats were less bulky, revealing some of the wavy hairstyles, the 1940s was a mixed bag. Hats were off in all directions, especially dressy evening hats. This is a fine example of a typical 1940s dress. The 40s was a decade of ultra femininity, and a fitted dress to reveal a slender and well shaped figure was the standard. This shape flares around the hip and it as tight as can be at the smallest part of the waist. The gathers that are just above the bust will emphasize the bosom to add to the frilly, curvy femininity that was well appreciated at the time. This dress says 1940s style. The two tone combined with the polka dot panel gives off a streamlined 40s art deco appearance. Just look at the wide lapel, points in the sleeve cuffs, and diamond points on the right side hip. Every staple of the 40s deco standard is right here. Possibly the most imitated 1940s hairstyle of all is what Betty Grable is wearing here. The rolled up sides, pompadour top combined with the rolled under back. Halloween costumes that feature 1940s wigs will often imitate this one, as will modern retro models. Betty Grable wears it well, but beware! This is not a style that flatters every face. For those who have flat cheekbones, signs of facial sagging or an overall face that lacks sculpt, this style will exaggerate flaws, add to the look of a long face, and make one appear much older and even stern. Just look at practically every woman besides Betty Grable who tries to get away with this. The style is beautifully when professionally put together, its what it does to the face that must be considered. This style was imitated as often as the Farrah style of the 1970s. It was one of the first styles that featured no clips. It can be looked upon as the forerunner of the modern hairdo. Veronica Lake, like Farrah Fawcett, became even more of a celebrity because of her famous hairstyle. Unfortunately for Veronica, when she changed her hairstyle in an effort to persuade other women to follow suit because of the impracticality of this style and the nuisance it was causing for girls who were donating their time to the war effort, she suddenly lost popularity. 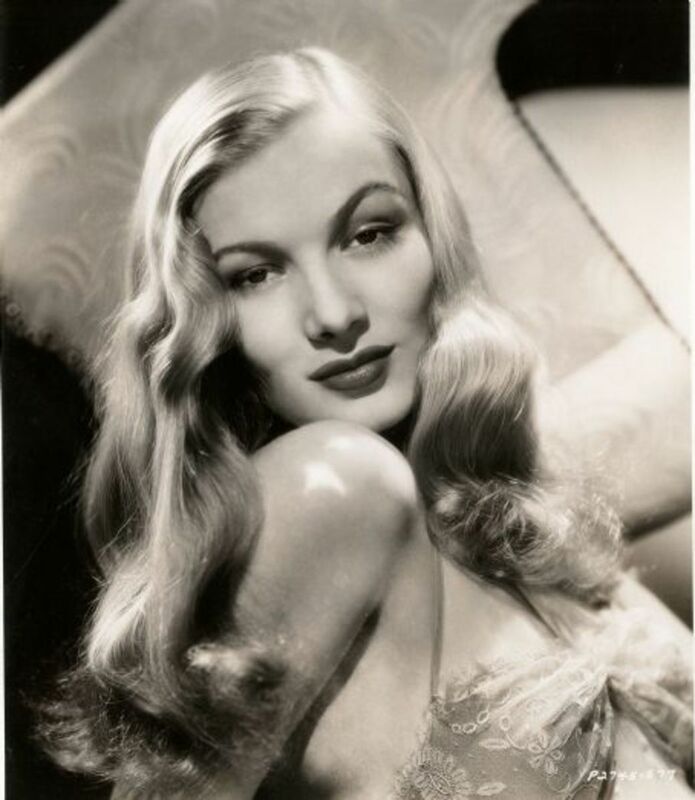 When Veronica Lake ditched her peekaboo hairstyle, her fans ditched her. 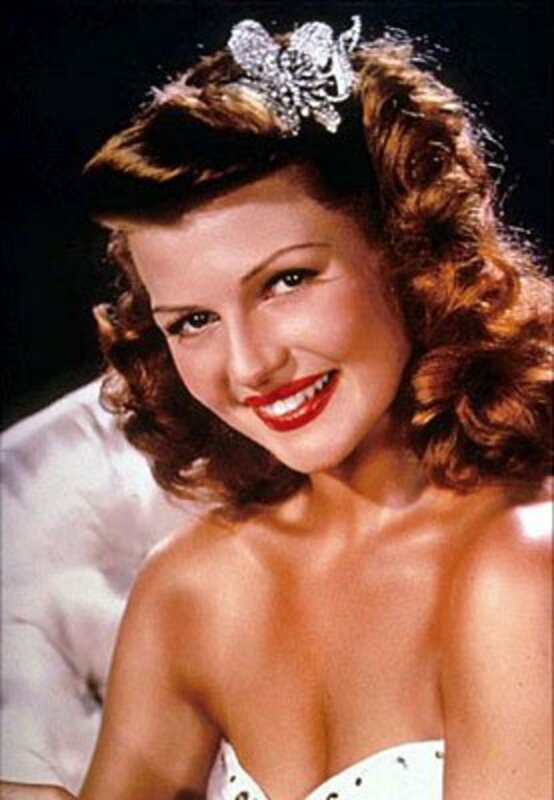 One of the fist things that comes to mind when I think of the 1940s is Rita Hayworth's hair. I am not alone as modern retro wigs are run off by the dozens with Rita's trademark red, long and curly hair. Here is Christie Brinkley wearing a 1940s hairstyle. She has chosen one of the most flattering 40s hairstyles of all. It is reminiscent of Rita Hayworth, and Veronica Lake. The style features the long loose curls that were the staple of 40s glamor, combined with waves and a flattering side part. The classics are absolutely timeless. In the 1940s men looked like real men. No matter what changes are made in male fashion women are always attracted to straight masculine lines, square shoulders, and lets face it, men look great in fedoras. 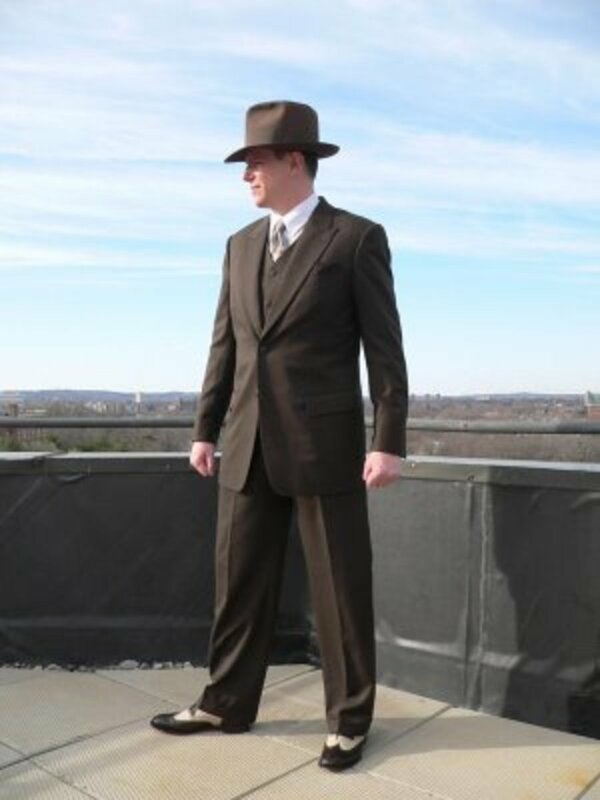 This photo features a typical mans suit with spectator shoes and and the most classic 1940s hat, the fedora. 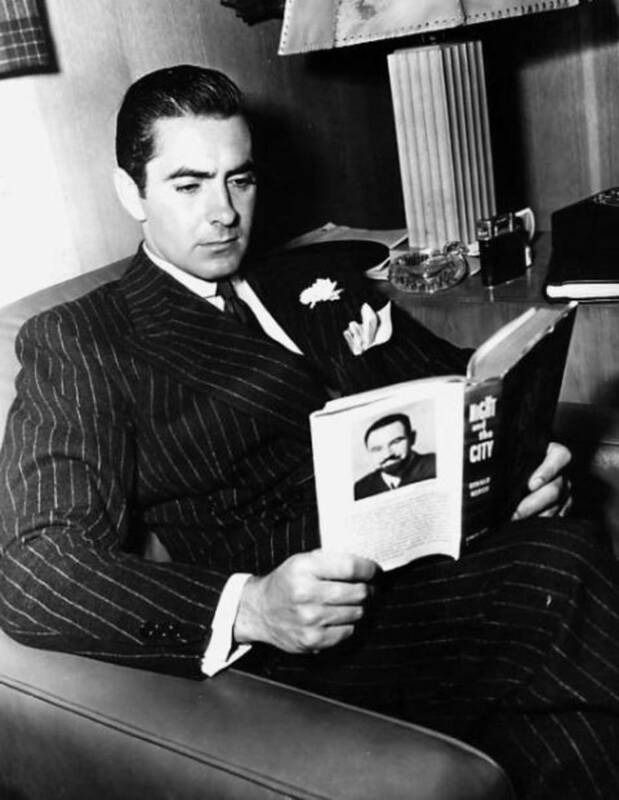 Here is Tyrone Power wearing a pin striped suit. This was a classy evening look of the 40s. The carnation and flared handkerchief in his pocket also point to the 1940s. The 1950s was less dressy, and glamorous by comparison. The modern men of the 50s wore the handkerchief straight, giving the effect of a straight, quarter inch stripe of color across the pocket. 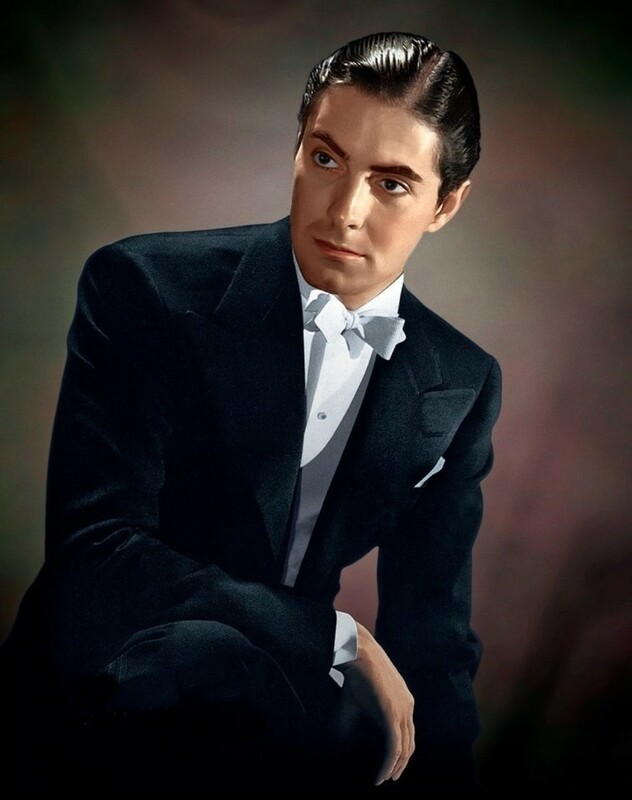 For the ultimate formal evening look here is Tyrone Power, the eye candy of the era, wearing a stunning black tux with white bow tie. 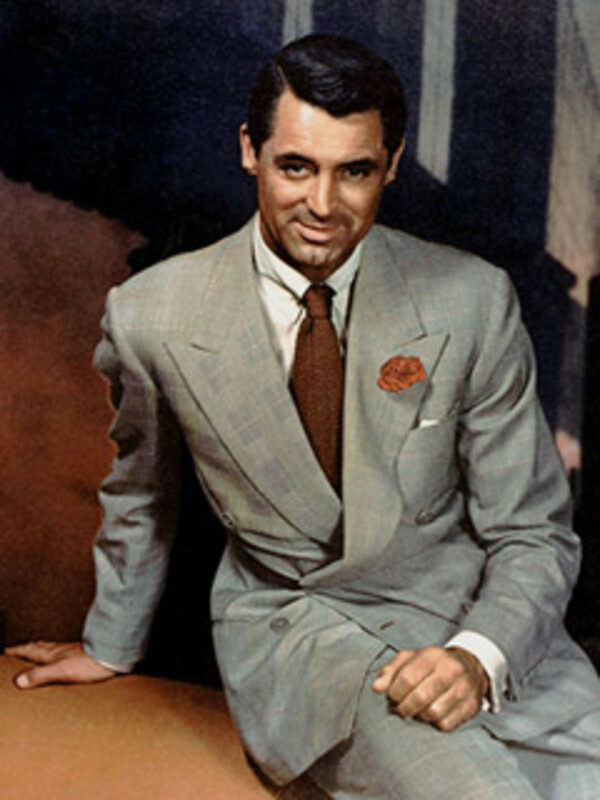 Notice the 40s wide lapel, extremely masculine square shoulders and the tailored waist. The gelled hair finishes the look of a strong manly face and total lace of modern fussiness. Spectator shoes were extremely popular in the 1940s. 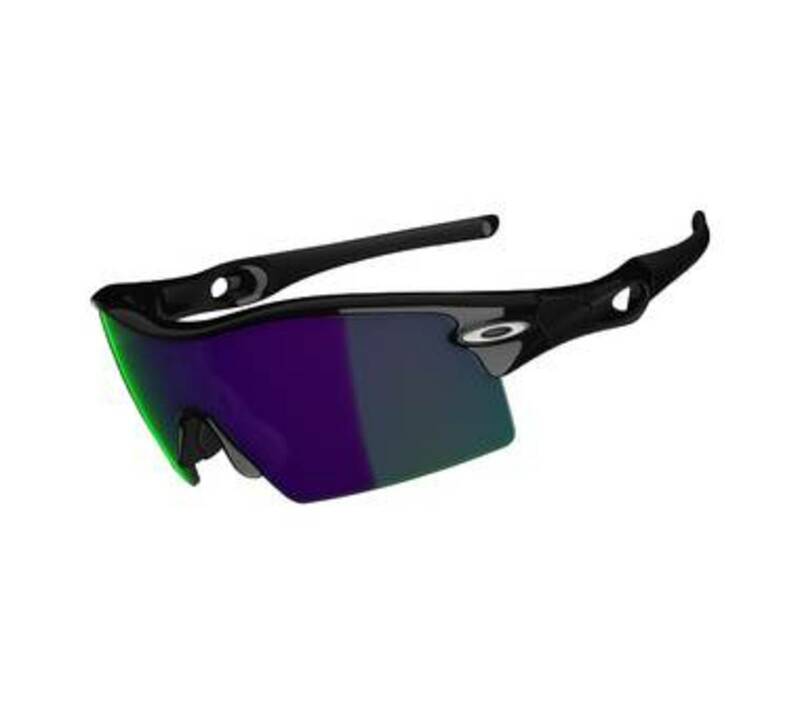 They were a popular design for men and women alike. The typical spectator design was to have a color, usually black, at the toe and heel, while the center of the shoe would be white. Sometimes that pattern could be reversed. 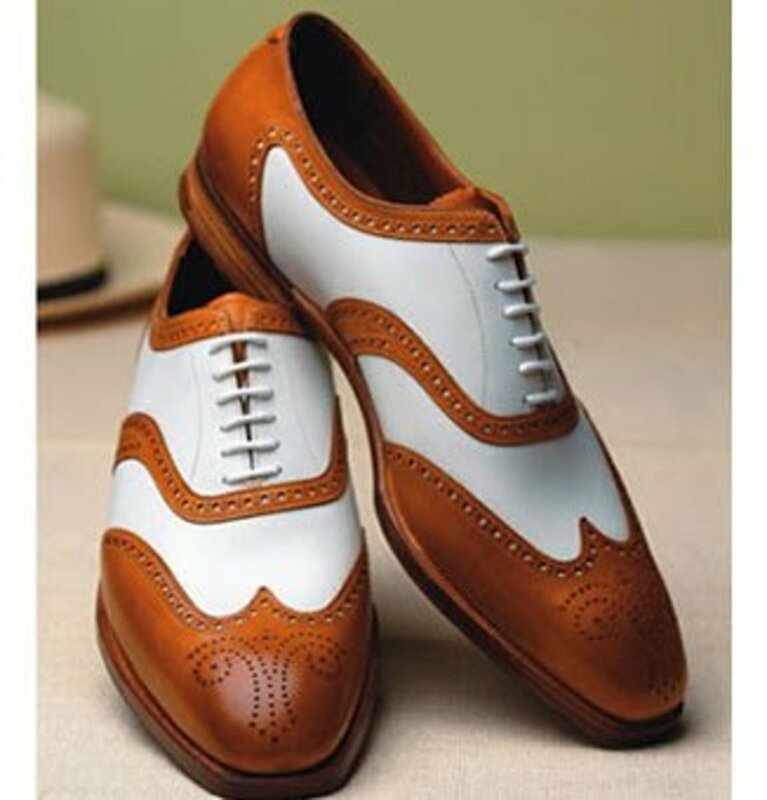 This shoe design was introduced in the 1920s when spats were becoming too old fashioned to wear, and simplicity of clothes was gaining favor. Lady Ga ga,Lady youtube looks dull compared to Nina Hagen, Klaus Nomi, and Dale Bozzio. Lady Ga ga music is not so unusual. Princess Grace Kelly 1950s vintage fashion icon. Her life was a fairytale. Grace Kelly wore beautiful clothes and become princess of Monaco. Grace Kelly died at 54 while driving. Any chance you know what pattern the red spotted dress is from? I so need to make this dress!!! This is great! I love the dresses - I don't think they would be that out of place where I work today; they still look classy to me :) The hairstyles are also something I think still survives. Great photos and information! I so enjoyed your post of this era. The dress styles were so classy and love the hats! Grant did represent the style of this period well. A glamorous time to be sure. Fabulous use of photographs. The pics remind me of so many of me as a kid with my parents. Love it! We threw a 1940s style birthday party for my grandma. People dressed up, it was so fun!